As we have discovered with all five of the eroding beliefs in this series of posts, completing this statement falls off the tongue: If you cannot measure it, it doesn’t matter. I was a longtime aficionado of SMART goal setting when the “M” stood for “Measurable.” However, over time, I found that a specific, measurable, attainable, relevant, and time-bound goal simply was not SMART enough. I changed the “M” to “Motivating” and moved measurable into the “S” (Specific). Adding another dimension to make my goals more emotionally compelling worked for me. It seemed to work for others, too. Now the science of motivation explains why. The nature of things that cannot be measured. Setting measurable goals and outcomes is important. Having a defined finish line in front of you can be positively compelling. In my previous post, I encouraged leaders and individuals to ensure a higher level of results by reframing measurable goals into meaningful goals. However, we need to move beyond SMART goal setting and embrace aspects of work that are not easily measured. Case in point—if you are a parent, consider this question: What do you most hope for your children? Even if you are setting SMART goals for your child’s education or acquisition of skills, I’ll bet you are like other parents—I have yet to meet a mother or father who expresses what they ultimately hope for their child in easily measurable terms. Rather, they talk about their children finding love, fulfilling a noble purpose, being passionate about their work, enjoying happiness, having meaningful relationships, feeling safe and secure, experiencing a profound connection to the world, contributing to society, perceiving they have choices and autonomy, and sensing competence and mastery. Interestingly, I find the same phenomenon happens when I ask leaders what they most hope for their people at work. This is consistent with what research shows brings out the best in people—the fulfillment of psychological needs that generate vitality and a positive sense of well-being. Despite the deep knowledge that what they really want for people are the benefits that come through these emotionally compelling aspects of work, leaders still avoid these aspects of work and continue to focus attention on what they can easily measure. As in life, the most rewarding aspects of work are things that are most difficult to measure. If you cannot measure it, it does not matter. If you hold this belief, ask yourself why. Where did it come from? Is it the emotional nature of things not easily measured? Does the combination of something being both emotional and difficult to quantify fall outside your comfort zone? Is it because if you cannot measure something, you cannot control it, and you perceive that your job as a leader is to control? Some things are best left unmeasured. One of life’s great joys is eating in Italy. Ask anyone who has traveled there—food tastes better in Italy. I had the profound experience of attending a weeklong cooking course in Tuscany. I say profound because it literally changed the quality of my life—not just my cooking, but also my perspective on day-to-day living. The chef refused to provide exact measurements for anything he made. “How can I tell you how much water to put in the pasta dough? It depends on the quality of your flour, and the kind of day—the temperature, the humidity. You must add some water and oil until it feels right.” He was also hesitant to commit to a menu or plan for the week. If the zucchini flowers were blossoming, we would have fried squash blossoms; if not, then the ripe tomatoes would become the centerpiece of a Caprese salad. The chef was really teaching us mindfulness—to be present in the moment, to notice the world around us and not judge but be aware of our many options and choices. When people cook with this level of mindfulness, they don’t rely on measuring ingredients or mindlessly adding a cup of flour in the bowl. What happens is something magical—they put their heart and soul in the bowl. The food becomes a possibility for something exceptional. And people can taste the difference. Of course, there are many things in life and work we need to measure. 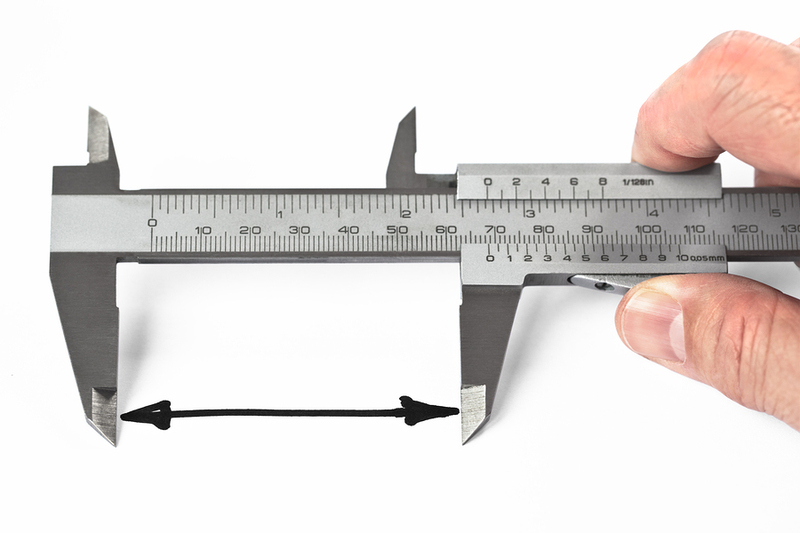 This post is not about eliminating anything that needs measuring. Pastries are a science where measuring makes the difference between a fluffy cupcake and a hockey puck. But, a true growth step for leaders is to become more mindful of promoting those things that cannot be measured and more comfortable with the choices they bring. That includes emotions. If leaders rule out people’s emotional nature at work—including their own—because they are not mindful or skilled enough to cope, we all lose what it means to be fully human. That is too high a price to pay for being comfortable. If you cannot measure it, it is probably really, really important. Observe the shift in energy when you focus your leadership on things that cannot be easily measured—things such as love, joy, and gratitude. Your people will eat it up. Susan Fowler is one of the principal authors—together with David Facer and Drea Zigarmi—of The Ken Blanchard Companies’ new Optimal Motivation process and workshop. This post is the fifth in a five part series on beliefs that erode workplace motivation. You can read Susan’s other posts in the series by clicking on Rethinking Five Beliefs that Erode Workplace Motivation, Five Beliefs that Erode Workplace Motivation, Part Two, If You Are Holding People Accountable, Something Is Wrong (And it isn’t what you think.) and The Reality about What Really Matters at Work. A great article on placing importance on things that can’t be measured. People, relationships, emotions, attitude – what motivates and inspires, these are things we maybe should focus on more at work. Then numbers and results will naturally follow. Pingback: If You Cannot Measure It …Five beliefs that erode workplace motivation by Susan Fowler | Go, Leader, Grow! Thanks for the good word. 2014 will be a year where our team decides what we will measure for our work, families and personal lives. We will also adopt the theme of “Apply More”. In my experience I have seen our organization measure profits and identify high profit as the goal to reach. That is a very slippery slope and can lead to unethical or illegal direction in order to achieve the highest profit possible. I have encouraged our team to strive for stewardship as our target. Stewardship invites responsibility. Stewardship invites profit with honor. Don’t get me wrong. I am definitely a capitalist and want to grow wealth. I just want to grow our wealth with honor, dignity and respect while honoring those who serve us faithfully. Great stuff! We all need to remember folks will work their butts off to complete a bad objective most especially if is tied to the reward system that directly applies to them!